Inheritance taxes are imposed only by states. The IRS does have an estate tax, but that's an entirely different kind of tax, though the two are often lumped together in the category of "death taxes." 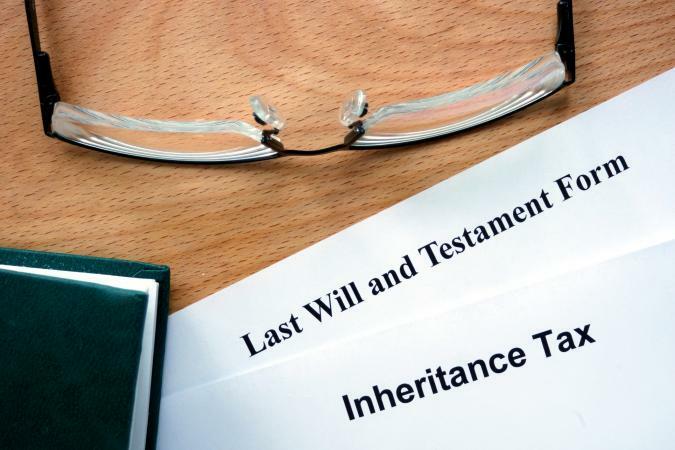 Briefly, estate taxes are imposed against the deceased's estate, while inheritance taxes are imposed against the person who's inherited something from the estate (the beneficiary). The inheritance tax is, not surprisingly, levied against people who inherit money or property from someone else. As of 2017, only six states impose inheritance taxes: Iowa, Kentucky, Maryland, Nebraska, New Jersey, and Pennsylvania. Tax rate: The rate ranges from 5%-15% depending on who will be inheriting and the value of the share (see the Iowa Inheritance Tax Rate schedule for details). Exemptions: If the estate is valued at less than $25,000, no tax is due. An inheritor who is the spouse, parent, grandparent, or other direct ancestor of the deceased is exempt from inheritance tax. Direct descendants, including children, stepchildren, and grandchildren are also exempt from the tax. Tax forms: Beneficiaries file Form IA 706. For more information: The Iowa Department of Revenue website has a section dedicated to inheritance taxes. Tax rate: The rate ranges from 4%-16% depending on who will be inheriting and the value of the share (see the Kentucky Inheritance and Estate Tax Guide for details). Exemptions: Real estate owned by Kentucky residents but located out-of-state is not taxed. If the inheritor pays the tax within nine month's of the decedent's death, he receives a 5% discount on the tax. Class A beneficiaries, which includes spouses, parents, children, grandchildren, brothers, sisters, half-brothers, and half-sisters are fully exempt. Class B beneficiaries, including nieces, nephews, half-nieces, half-nephews, daughters-in-law, sons-in-law, aunts, uncles, and great-grandchildren receive a $1,000 exemption. All other beneficiaries receive a $500 exemption. Tax forms: Beneficiaries file either Form 92A200 (the long form) or Form 92A205 (the short form). For more information: The Kentucky Department of Revenue website has an estate and inheritance tax section. Tax rate: For decedents who died after July 1, 2000, there's a flat 10% inheritance tax for the beneficiaries. Exemptions: Children or other direct descendants, spouses of direct descendants, spouses, parents, grandparents, stepchildren, stepparents, and siblings are exempt from the tax. Tax forms: The estate's personal representative (the person responsible for managing the estate) pays the tax before distributing the shares. Beneficiaries don't need to file. For more information: The Maryland Comptroller's Office website has an estate and inheritance tax section. Tax rate: The rate is 1% for immediate family, up to 13% for more distant family (aunts, uncles, nieces or nephews and their direct descendants) and up to 18% for everyone else. Exemptions: Immediate family gets a $40,000 exemption, distant family gets a $15,000 exemption and everyone else gets a $10,000 exemption. There are some other small exemptions such as a homestead allowance. Tax forms: The estate's executor is responsible for paying inheritance taxes before distributing the estate. Beneficiaries don't need to file. For more information: Contact the Nebraska Department of Revenue for more details. Tax rate: The rate ranges from 11% to 16% depending on relationship and the value of the inheritance. Exemptions: Inheritances of less than $500 are not taxed. Life insurance paid directly to a beneficiary (as opposed to being paid to the estate) and transfers to charities are also exempt. Tax forms: The estate's personal representative pays the tax before distributing the shares. Beneficiaries don't need to file. For more information: The New Jersey Division of Taxation website has a section on inheritance and estate taxes. Tax rate: The rate is 4.5% for beneficiaries who are direct descendants, 12% for siblings, and 15% for everyone else. Exemptions: Spouses are exempt from the tax. If the decedent was age 21 or younger, anything left to his or her parents is exempt. Farmland and small family-owned businesses are exempt from the tax if left to family members. Tax forms: Beneficiaries file Form REV-1500. For more information: The Pennsylvania Department of Revenue website has a section on inheritance taxes. To determine the inheritance tax due, the estate's value is calculated and any outstanding debts or expenses are subtracted, producing the estate's net value. The estate is then divided into shares based on how the estate is passed on to the inheritors, and inheritance tax is computed for each share. Note that this tax is generally levied based on where the deceased lived, not where the beneficiary lives. The inheritance tax is levied against both tangible and intangible (i.e. cash and stocks) property owned by deceased residents of the state, as well as tangible property located within the state regardless of where the decedent lived.